NGEE ANN POLYTECHNIC CONSUMER CO-OPERATIVE SOCIETY, Singapore. 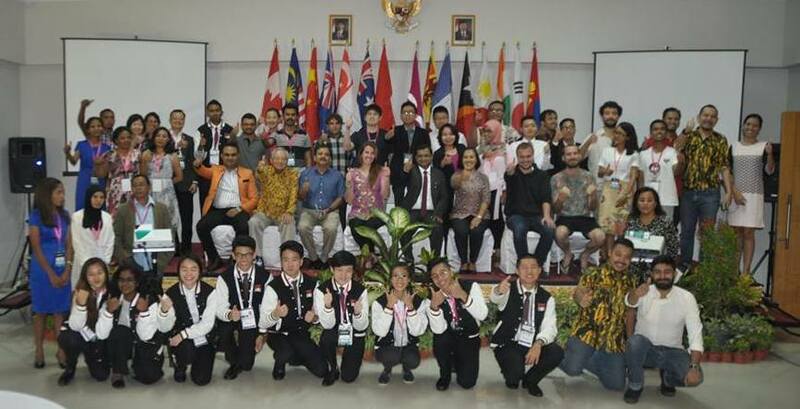 The paradise island of Bali (Indonesia) played host to 70 young people hailing from 17 countries where they met for the first ever Asia Pacific Co-operative Youth Summit (19-22 Sep 2016) at the Zizz Convention Hotel on the theme – Youth, Co-operatives and the power of innovation and entrepreneurship. While Alliance members ACFSMC, ANGKASA- Malaysia and Buldana Urban – India sponsored parts of the event, DEKOPIN and KOPINDO from Indonesia participated at local hosts along with Kubu Gunung Credit Co-operative, Bali and Zizz Convention Hotel, who played their roles as hospitality partners. The Summit was conceived as a platform for youth in the region to interact with each other; hear stories by young persons who have started co-operatives; engage in team activities such as rafting, traditional Kecak dance and biking in Ubud; and importantly make friends from the co-operative movement, for life! Information about the summit and its key speakers can be found here. The Summit also featured a battle of co-operative ideas – Co-operative Pitch– that provided participants an opportunity to present new and workable ideas about forming co-operatives in areas where they perceived real needs. 17 ideas were presented that covered agricultural tourism, agriculture incubators, solutions for migrant workers, catering services (targeted at workers), modern transport systems, student housing, e-waste recycling, mobile fish vending vans, performance art collective, youth events – owned and managed by young persons, and e-commerce for co-ops among others. These ideas were judged by the key speakers at the event and the chairperson of the ICA-AP Committee on Youth Cooperation. The Best Pitch was awarded to Justine Lynn Limocon and Kevin Palson from LAMAC Multipurpose Co-operative, Philippines for the idea of Youth Engagement in Organic Farm Tourism. The Best Pitcher award was bagged by Shawn Hoh from Ngee Ann Polytechnic Co-operative, Singapore for his team’s idea on providing co-operative solutions to migrant workers in Singapore. The team won the award for the first runner-up. The co-operative idea of Leonardo Desucatan from VICTO National, Philippines to recycle e-waste won him award for the runner-up and Young-Gi Kwon won the honourable mention for his idea of having youth centred conferences, owned and managed by youth. The Summit’s first edition was well received by participants and there was much excitement to organize such events regularly.